When lives are on the line and the safety of everyone is at stake, a light on a helmet isn’t enough. 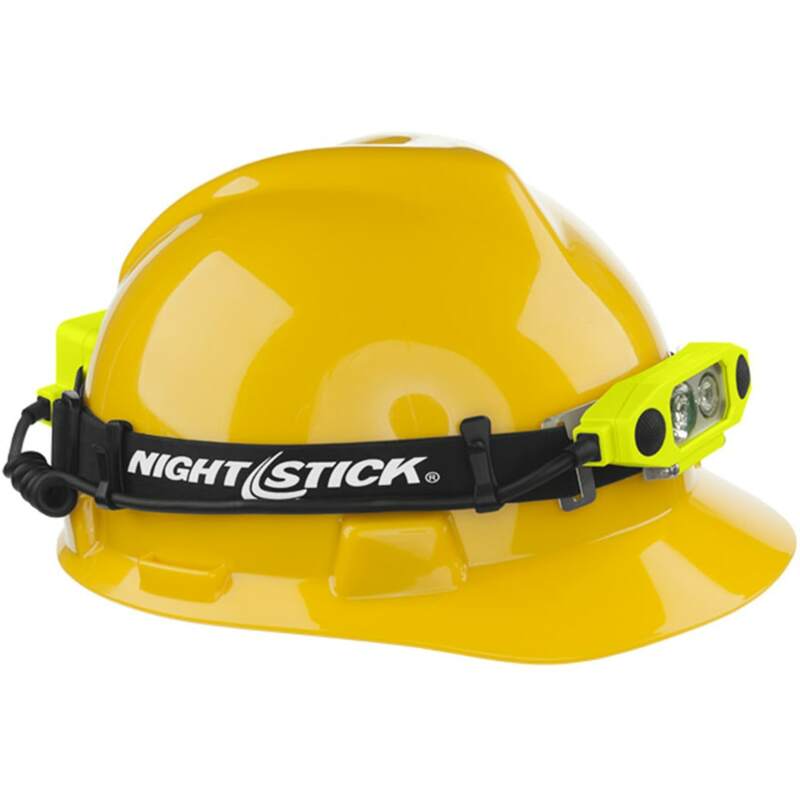 That’s why the Nightstick DICATA™ Intrinsically Safe Headlamp was not only designed for fire helmets and hard hats, but also to function without interfering with face shields. Take that and couple it with a cULus, ATEX and IECEx intrinsically safe certified safety rating along with meeting the requirements of NFPA 1907-8.6 (2013) and you have the DICATA Class I, Division 1 headlamp. Make no mistake; the lights are optimized as well. The CREE LED spotlight and LED floodlight benefit from use of a series of Total Internal Reflection (TIR) Lenses that are specifically designed to optimize output. Two enlarged front-mounted buttons make it easy to toggle through the high/low beam options or have the spot and floodlight on simultaneously even when wearing gloves. With a beam distance of 120 meters (394 feet), the DICATA’s spotlight emits 275 lumens, while the floodlight emits 205 lumens. When operating simultaneously in dual-light mode, 310 lumens will blaze out of this intrinsically safe headlamp. 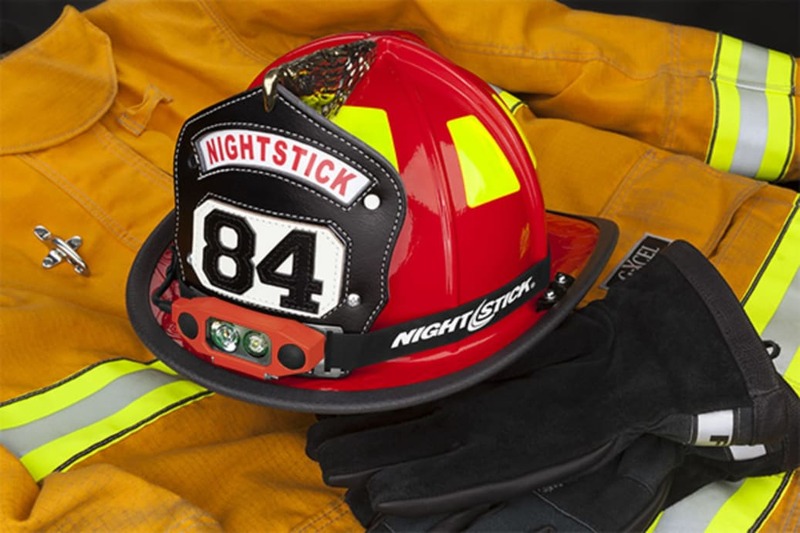 Nightstick also added an independently controlled amber rear-facing light to make it easy to identify other team members in dark, hazardous places promoting safety. The XPP-5462 DICATA (red or green) uses a heavy-duty rubber strap to fit on fire helmets and hard hats. It’s made of a chemical/impact resistant glass-filled nylon polymer and includes 3 AA batteries. Users will definitely value its lighting, versatility, stability and safety. 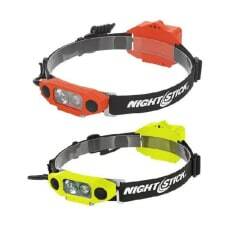 To learn more, please visit www.nightstick.com.